Southern Illinois University Edwardsville students received a lesson on the importance of education from former NBA Player Kareem Abdul-Jabbar. 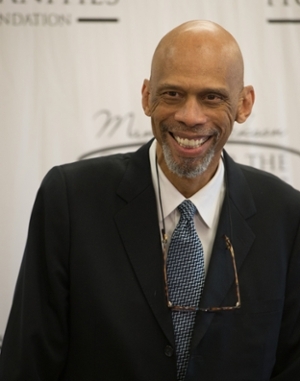 The 7-foot-2 Abdul-Jabbar encouraged high school and college students to use education as a tool in following their dreams and using their talents. He was the featured speaker at SIUE’s annual Mannie Jackson Center for the Humanities Foundation Dinner. Read more information about Abdul-Jabbar’s visit in the St. Louis Post Dispatch and the Belleville News-Democrat.